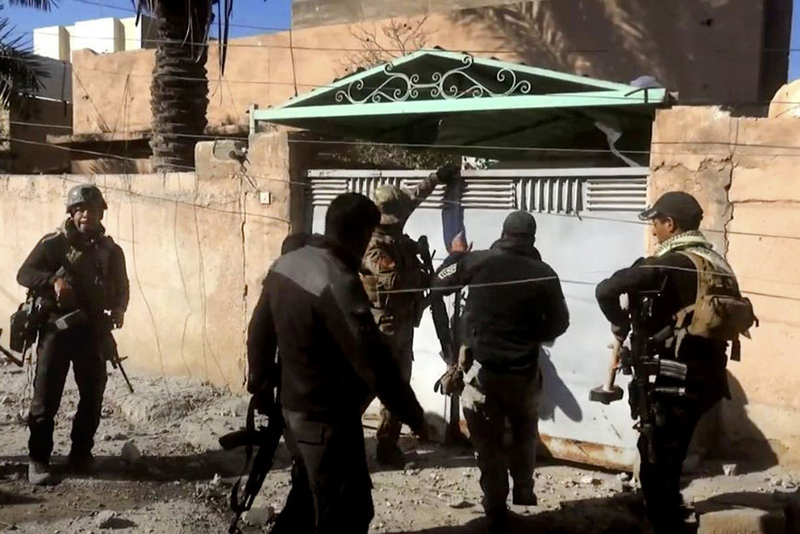 Baghdad: Heavy fighting in Ramadi, the capital of Anbar province, has turned into street-by-street, house-to-house combat as Iraq’s armed forces based by coalition air strikes continued to flush out an estimated 400 Daesh daesh members holding out in the city on Friday. Iraqi forces battling the last Daesh fighters holed up in the city centre, however, were slowed in their advance by stiff resistance, booby traps and fears for trapped civilians. Once Ramadi is secured, the Iraqi army will move to retake the major northern city of Mosul, Prime Minister Haider Al Abadi said on Friday. Capturing Mosul would deprive the militant group of its biggest population centre in both Iraq and Syria, effectively abolishing the state structure of Daesh in Iraq, depriving it of a major source of funding and dealing a blow to its influence. 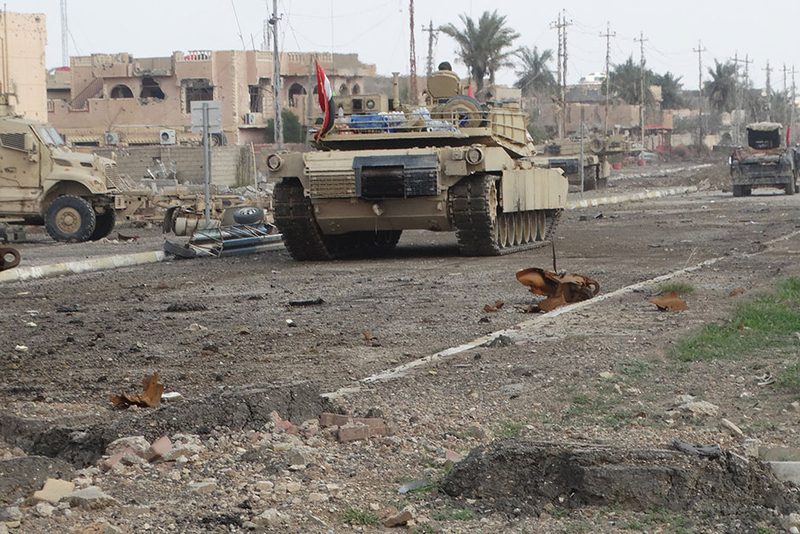 The capture of Ramadi would give the army a major psychological boost in its move towards Mosul. The cities are about 420km apart by road. 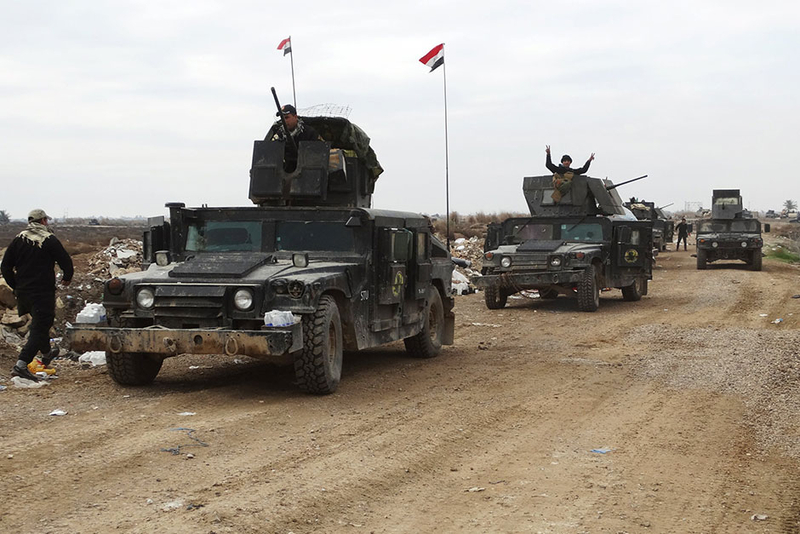 Iraqi forces started an attack on Tuesday to dislodge Daesh militants from the centre of Ramadi, the last district under their control in the city they had captured in May. Daesh seized Mosul, Iraq’s second-largest city, in 2014, in an offensive that forced government forces to abandon a third of Iraqi territory. The group declared a caliphate over the Iraqi and adjacent Syrian Sunni populated territory it controls. “The liberation of dear Mosul will be achieved with the cooperation and unity of all Iraqis after the victory in Ramadi,” Al Abadi said in a statement on the state media website on Friday. 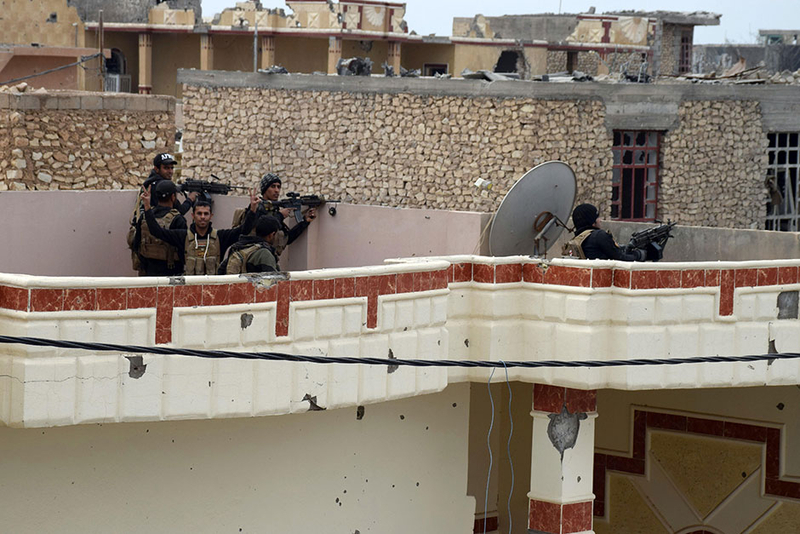 Army commanders said on Wednesday that the battle for Ramadi would take several days. Iraqi forces fighting Daesh in Ramadi dodged sniper fire, car bombs, roadside bombs and booby traps as they battled Friday to root out fighters hunkered down in a strategic compound in central Ramadi. 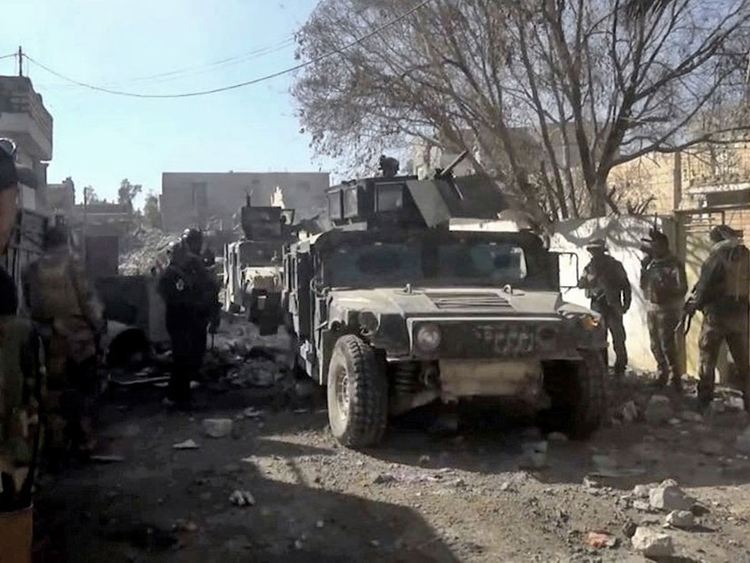 Elite forces from the counter-terrorism service (CTS) faced limited resistance when they punched into central Ramadi four days earlier, in a final push to retake the city. The terrorists concentrated their defence around the main government complex in the Hoz neighbourhood and now Iraqi forces are struggling to break in. “We are facing many obstacles, mostly snipers and car bombs,” said one CTS fighter, 1st Lieutenant Bashar Hussain, from a position in Dhubbat neighbourhood, just south of Hoz. The terrain allows a small number of determined men to hold off a larger force. “Daesh resistance got stiffer as Iraqi forces moved closer to the government compound,” said an army brigadier general, speaking on condition of anonymity. Iraqi soldiers were around 500 metres away from the compound on Thursday and had only inched a little closer by Friday. “Our forces are now just over 300 metres away from those buildings,” he said. The number of Daesh fighters still holding out in the city was estimated at fewer than 400, with reports of some retreating from the front by using civilians as human shields. “Operations to liberate Ramadi need time. It isn’t easy to retake it quickly,” said Ebrahim Al Fahdawi, the head of the security committee for nearby Khaldiya district. “Booby-trapped houses, suicide attacks, improvised explosive devices, snipers, mortars, rockets: Daesh is using everything it’s got to stop the progress of the security forces,” said Fahdawi. Daesh posted several statements online over the past two days claiming to have inflicted serious losses in multiple attacks across Ramadi. Iraqi security officials only admitted to limited casualties and said they were able to repulse suicide car bomb attacks. 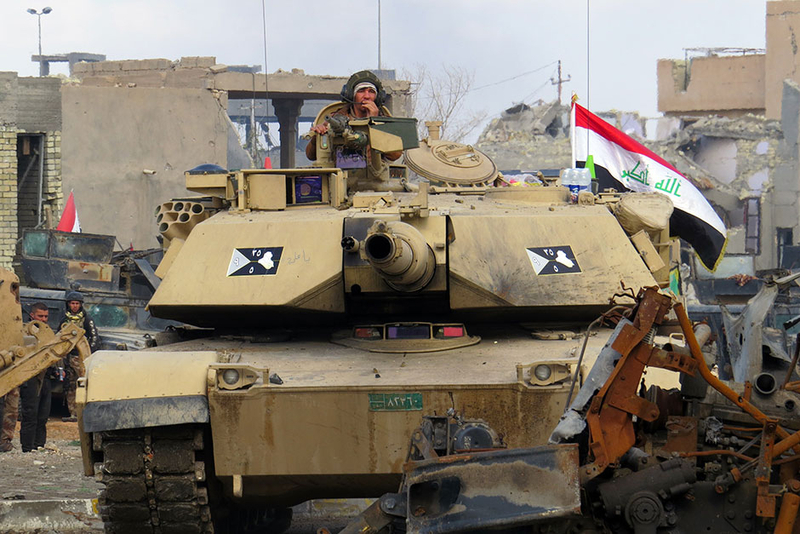 The loss of Ramadi, which lies about 100 kilometres west of Baghdad, was Baghdad’s most stinging defeat in the war against Daesh since the militants took over a third of the country last year. 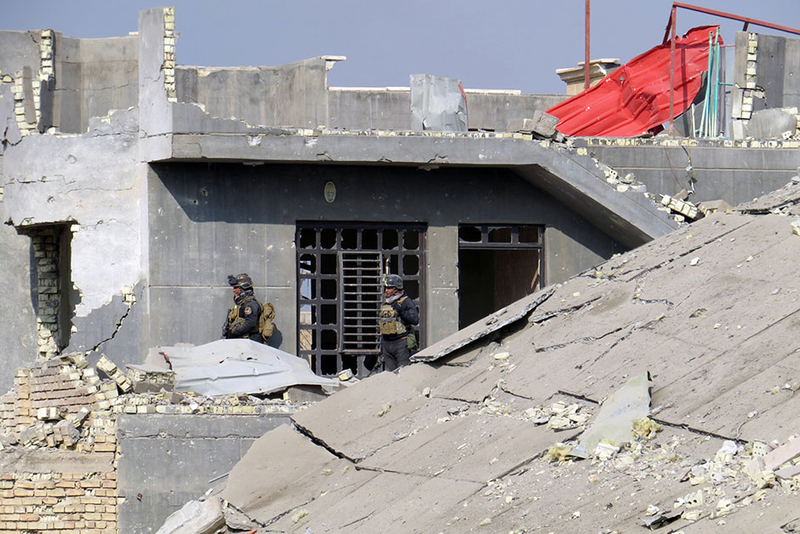 A key component of Daesh’s victory in May was the use of dozens of massive suicide car bombs to blitz government positions but, more than six months on, the security forces came prepared. “They’ve tried but they’ve had less success for several reasons,” said Colonel Steve Warren, spokesman for the US-led coalition that has been carrying out daily air strikes. “Both Iraqis and the coalition have become much better at identifying these threats earlier on,” he said. In May, Daesh took control over Ramadi through the use of massive suicide car bombs against government positions. Now, the security forces on the ground working with coalition forces providing air cover came better prepared to face Daesh. “The Iraqis have been equipped with AT4 shoulder-fired anti-armour rockets, so the coalition has trained them on how to deploy these weapons, provided them with 5,000 of them and the Iraqis have used them to great effect,” Warren said. Also slowing the security forces’ advance was the presence of civilians trapped in their homes.